Up in the game room (the second floor of a two story barn outfitted with an old Indianapolis 500 pinball machine, pool table, ping pong table and Ms. Pac-Man arcade game) I bonded with my brother Scott during an afternoon gobbling up monsters on Ms. Pac-Man and volleying the ping pong ball back and forth over the net, like we were kids again. He’s having a rough time in his journey to mental wellness. It’s been six months since his ten electroconvulsive shock therapy treatments at the mood disorder clinic. The treatments did not help him, but set him back. For my brother the persistent and severe intrusive thoughts of suicide have not subsided, despite the inpatient hospitalizations, shock treatments, medications, support groups, individual therapy and regular church attendance. So to be with him on the second floor of the barn in the North Woods of Wisconsin playing Ms. Pac-Man and ping pong was a glorious thing. Free from padded walls, lockdown units and intravenous sedatives, we could simply be together as brother and sister competing for the highest score. I don’t know what it’s like to live with a severe brain disease like the bipolar disorder my brother survives from everyday. But I do know that he is a survivor. Despite his debilitating illness, he volunteers by bringing a weekly twelve step meeting to the local men’s jail. When family members press him about getting more involved and active in volunteer work or getting a paid job, he says that it’s a full time job for him to take care of himself. Having an invisible illness like a severe brain/mood disorder often leads to this line of questioning. Since the disability is unseen, it sometimes flies under the radar at best, or at worst is denied by others. Mental illness, the argument goes, is not real because it’s “all on the head” and will go away if you really wanted it to/tried harder. Equating depression with laziness is also a common mistake, as if mental/mood disorders are moral failures or character flaws. Invisible diseases are physical diseases, too. More and more the conversation about mental illness is shifting with increasing emphasis on the physical nature of the disease: the brain. As I’ve engaged in conversations across the country about mental health since my memoir, Blessed Are the Crazy: Breaking the Silence About Mental Illness, Family and Church, came out last fall. It’s a raw accounting of my family’s struggles with severe mental illness and I have no regrets about publishing the book. The response to the book has been incredible. It’s a conversation whose time has come. Hundreds of emails, messages, and conversations later, a few trends are worth sharing. 1. The shame, stigma and isolation surrounding mental illness are real and worse than I first thought, especially in the church. 2. People are ready to break the silence about their own or their loved one’s struggles with mental illness. This means there are countless brave and beautiful people out there ready to speak, needing to know we are not alone and needing people to listen compassionately and without judgement. 3. Since isolation magnifies the shame and stigma of mental illness, churches looking to do ministry can become spaces of welcome, inclusion, support and engagement for people impacted by mental illness. Given how almost all of us are effected in some direct or indirect way, it won’t be hard to find a few people to create a small group to explore starting a mental health ministry. 4. Community based mental health professionals and religious leaders can work together, collaborating to provide communities the best comprehensive spiritual and mental health care. 5. We’ve come a long way, but have even further to go. Along the way, talking with various Christian lay leaders and pastors, I’ve heard some questions and comments that make my heart sink and head hurt. There remains prejudice against people with mental illness, beliefs that people with mental illness are more dangerous and prone to criminal behavior. One pastor asked whether or not welcoming people with mental illness into his church would increase the number of sexual offenders attending church. One church leader claimed that people with mental illness need to be prevented from entering the ministry. Both individuals shared out loud opinions commonly held by many. 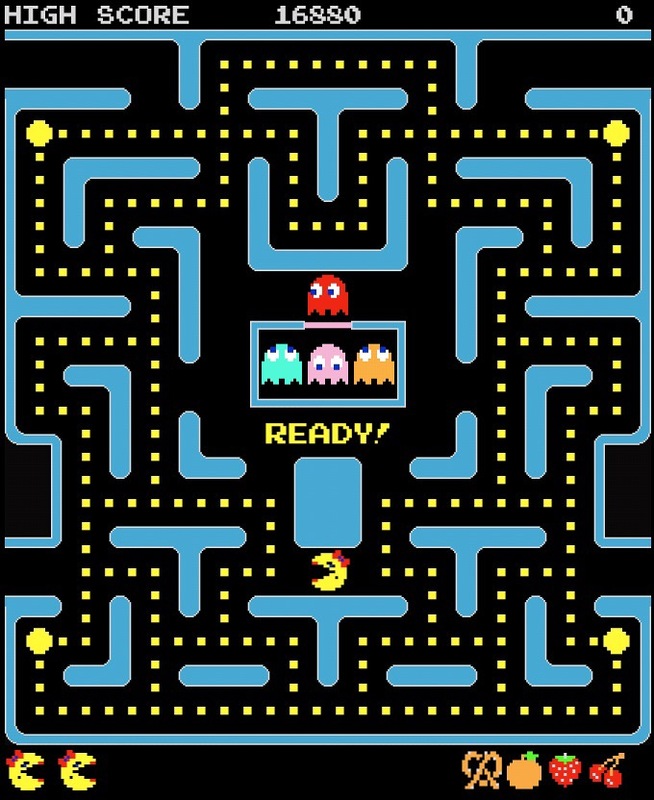 Pausing from my work to play Ms. Pac-Man and ping pong with my brother for a few days on family vacation, in the midst of all of these conversations, comments and questions about mental health, was a grounding and centering experience. Hanging out with my brother, hearing about his daily struggles, reminds me of the fact that people with mental illness are more likely to be victims of prejudice, violence, abuse, neglect and injustice than people whose brains are not diseased or disordered. And still I keep going because he keeps going. My brother and the thousands like him living with brain disorders deserve better. Ms. Pac-Man and ping pong may be over for now, but we’ve got a lot more stigma and shame monsters to gobble up and time is running short. Sarah, I just heard about you and your book through our mutual brother of faith, Kent Siladi.Our son David, 34, has struggled with mental illness for 15 years, and I’m VP of our local NAMI board, which includes an Episcopal priest, rector at Yale and friend of Kent’s, Kathryn Green-McGreight, with her own book on her struggles with Bipolar illness. One of my passions is also to better equip the church to not only address mental illness better, but to really embrace the truth of 1 Corinthians 12:22: ” …those parts of the body tht seem to be weaker are indispensible…!” Last week I nearly fell off my chair as the young pastor of our Vineyard church in New Haven quoted that verse and then asked all who felt “weaker” to stand for prayer and blessing, if they felt able to do so. One young man from a Jewish background who has struggled for years with mental illness, and has recently decided to embrace Jesus, stood, among several others. I had never before heard that verse spoken from the pulpit. Will you be at the UCC Widening the Door conference in September in Hartford? I plan to order your book and share it with the Family to Family class I teach for NAMI in innercity New Haven this fall.